They are plastic and come with hooks on the bottom, so you can anchor it so something in the pond. They will float well and do not get blown out with a strong wind. 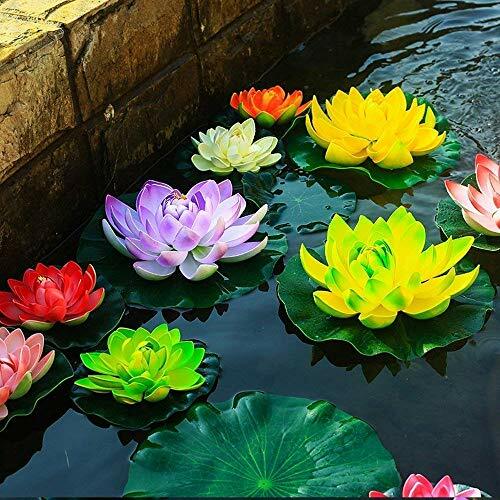 They look pretty realistic, and using them with the pond , they will not only a wonderful decor, but also give the fish good shade too.